Perhaps the distinction is most easily seen in history. There is a lot of content to be taught in history. When I was young, I was taught history as a series of facts to be memorized: When did WWII start? Who said, “We have nothing to fear but fear itself?” Now I understand that good teaching of history emphasizes the whys, relationships, and varied perspectives that help us make sense of people’s actions in differing times and places. But all of that is still the “what” of history. It doesn’t answer the questions, “How do I know what happened? How do I know why?” To begin thinking about those questions, we need to understand a bit about what historians do and how they do it. That is the “how” of history. With young children, this generally leads to puzzled faces. How did the person who wrote the book know? They probably read another book. But how did that author know? After some time and conversation, we come around to the idea that just like TV detectives, people who study history have to look for evidence of what has happened. They ask questions and look for clues. So what kinds of clues give us hints about what the pilgrims wore? We don’t have photographs, but we do have paintings. We don’t know. Exactly! Now we have a question. What did pilgrims wear in their everyday life? And how would historians figure that out? That is the beginning of understanding the “How” of history. For the next few weeks I’ll consider the types of questioning that might be taught across disciplines. Since I’m not an expert in all disciplines, I’ll be grateful for your help along the way. Perhaps now is a good time to begin thinking, whatever subject you teach, how did the knowledge in that subject come to be? 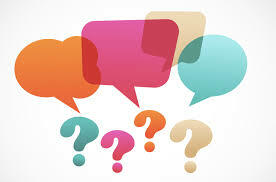 What questions do creative people in that field explore? And how can we share those with the students we teach? 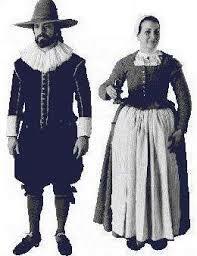 PS If you’d like to see more accurate information on what the pilgrims wore, you might enjoy this link. It still doesn’t share the evidence for the conclusions, but it is a start. If you’d rather go straight to a particular discipline, here are the links. Students as Questioners in Writing.